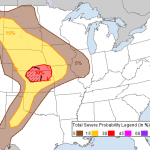 Active severe weather is expected once again this weekend over the Great Plains the return of a strong jet stream over a high humidity air mass. This time, an area from Nebraska/Kansas eastward to northern Missouri is in my sites. This is an interesting, but not too uncommon, set up for June. The air is forecast to become unstable on both Saturday and Sunday over the areas mentioned. The upper level jet stream will return to a stronger flow level but those winds will actually be more out of the northwest instead of southwest or even west. What this means is that supercells which deviate to the right of the flow would actually travel close to due south! It requires taking all chasing strategy and rotating it clockwise ninety-degrees. 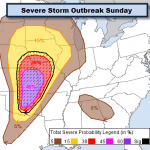 Now, Saturday looks like a Nebraska, northern Kansas target. The only way to do this chase safely is to stay overnight. Since there would be another storm chase possible on Sunday to the east, I’d hang out for that one and then come home late on Sunday. So if there is anyone who would like to make a weekend of it, let me know! Keep in mind that storm season is winding down and/or shifting too far north so this may be one of the last chances! The other option would be to forget Saturday and only chase Sunday. I’m less sure about severe weather (well chase-able stuff anyway) on this day but hey, this many days out, there’s room for it to come together. So in this case, leave Sunday morning, come back Sunday night. Tentative target area northeast Kansas into northern Missouri. This is really all up to demand. Let me hear from you! The atmosphere over Oklahoma looks quite unstable on Friday. This combined with a strong jet stream will mean another round of severe storms for that area. 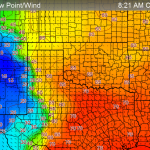 I will likely be targeting an area close to the dry line over central Oklahoma. “Tornado Ted’s Storm Chase Tours” will leave on a chase around 9 a.m. on Friday. I believe we have two guests already and there’s room for a few more! For review, this is a one day chase; we’ll come back to Springfield in the Midnight to 1 a.m. time frame. The cost is $199 per guest. If I confirm guests today, some cash back will kick in. $10 each for two guests, $20 for three, etc. The system in the central U.S. continues to remain a big player in severe storm and tornado development through Friday. I’m heading out on a storm chase to north central Kansas today! 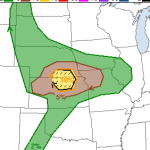 The weather pattern this week is evolving much as it did last Saturday-Monday over the central U.S. Several rounds of severe storms will occur with severe weather expected somewhere in the central U.S. each day through at least Thursday. I’m heading out on a storm chase on Sunday. 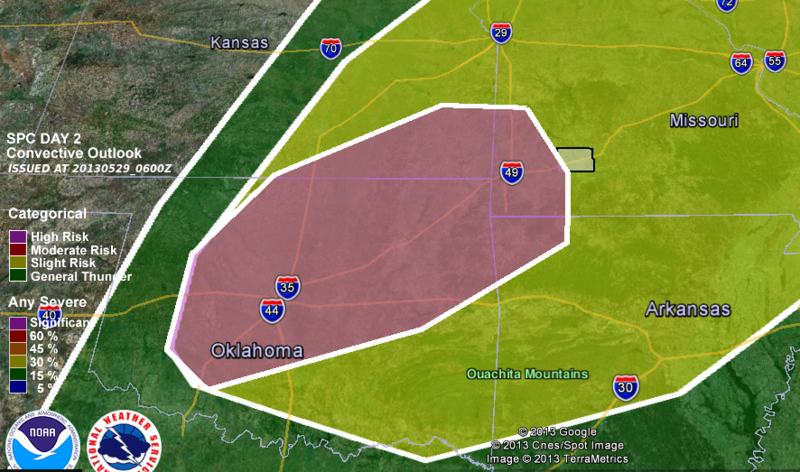 This is shaping up to be a significant outbreak of severe storms with tornadoes a real possibility. 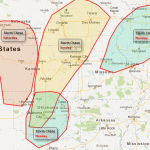 If you have ever wanted to go on a guided storm chase tour where the knowledge and experience of a professional meteorologist is coupled with just about a guarantee of powerful supercell thunderstorms and a fairly high probability of tornadoes, then you won’t get a much better chance than these next few days!!!! Clear your calendar this weekend and Monday because I think I can put together some very exciting storm chasing tours! 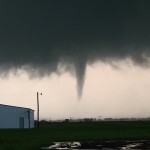 Multiple Day Severe Weather Storm Chases! Clear your calendar this weekend because I think I can put together a very exciting storm chasing tour!